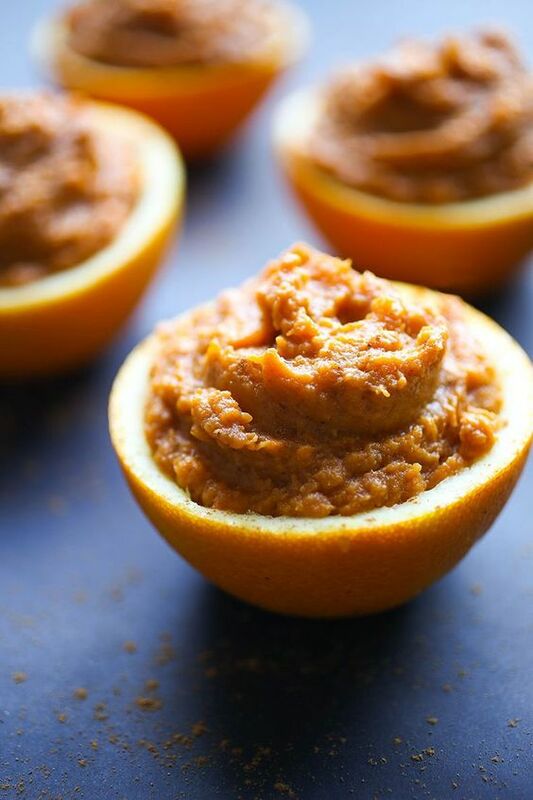 These Paleo Sweet Potato Orange Cups are one of my favorite Thanksgiving dishes. They are incredibly simple to make but taste incredible and make an adorable addition to any holiday table. Looking for something to bring to someone else’s dinner party? These are completely portable and already come portioned out making them easy to transport and serve! This recipe makes 4 cups but feel free to double or triple for a larger group of people. Juice oranges and set juice aside. With a steak knife or grapefruit spoon, gently scrape the insides of the oranges out, being careful not to puncture a hole. Peel sweet potatoes, chop and boil until fork tender. Drain potatoes and mash with a potato masher or fork. Don't worry about mashing completely as you will be blending more once the remaining ingredients are added. 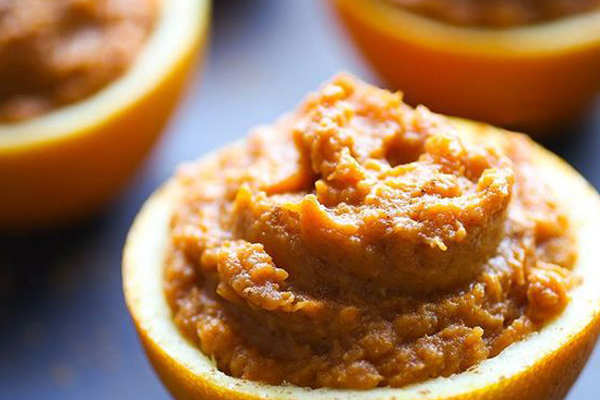 Add remaining ingredients, other than orange shells and use a hand mixer to combine until smooth. 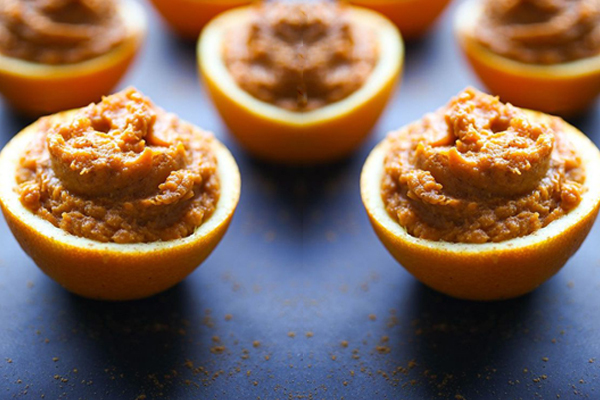 Carefully scoop mixture into your orange cups and sprinkle with a bit of Primal Palate pumpkin pie spice. Serve immediately or refrigerate and reheat in an oven.